London acts as host to 70% of the UK’s fintechs, as well as to 61% of the country’s artificial intelligence companies. 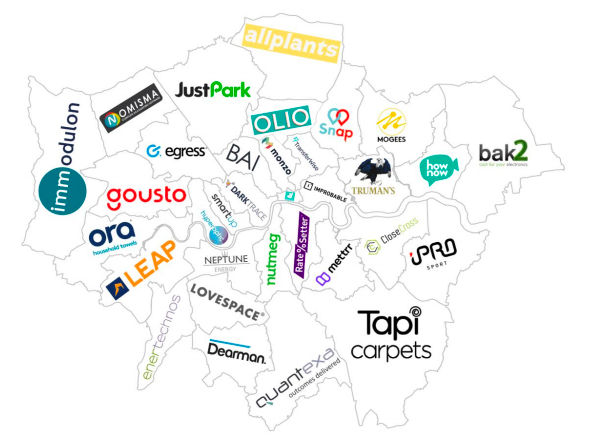 And almost one-quarter of the capital’s go-getting firms are based in Westminster, with the City of London a close second (17%) despite being the smallest authority – and Camden is home to London’s most valuable high-growth companies, worth a combined £3.4bn, according to Beauhurst. And back to AI where we find that Graphcore is the UK’s top artificial intelligence start-up by equity finance funding, having garnered £244m, some of it from the likes of Bosch, Microsoft and Sequoia Capital. What specifically does Bristol-based Graphcore produce to warrant such attention? asks Beauhurst. Well, it develops intelligent processor units designed to handle the tasks of machine learning applications., ie it’s the hardware that runs AI software.